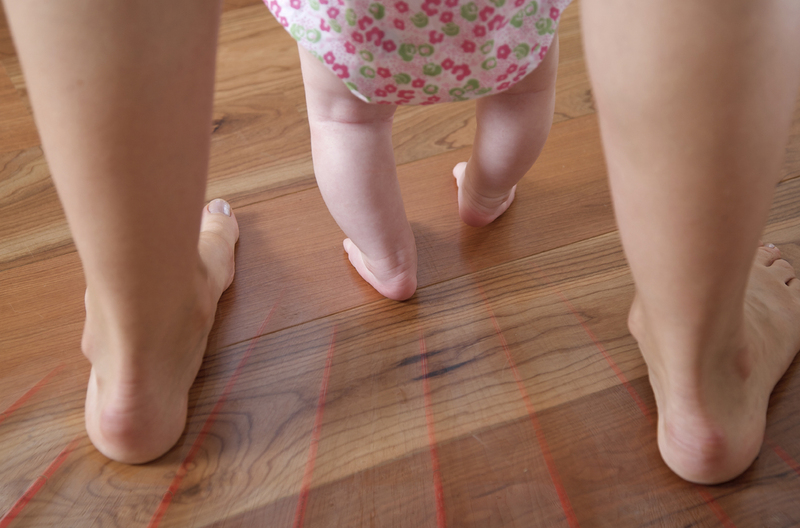 Home > News > floor heating > Why Does Infloor Radiant Heating Feel So Comfortable? It starts by understanding how your body temperature plays a role. EcoHome reported, “the average adult radiates about 150 W of energy, but when in a room at normal uniform temperature we get back about 50 W of energy, resulting in a net loss of about 100 W. The net loss you experience will vary depending on the thermal performance of your home. For example, if you have cold walls and windows, heat radiating from your body will help warm them at the expense of your own personal comfort. If the temperatures of the surfaces in your home are warmer, you will feel more comfortable regardless of what your thermostat says. Air temperature does affect human comfort; it is part of your thermal experience, but its predominant role is to warm or cool the surfaces of your home. Windows represent the coldest exterior surface of the inside of a home, that’s why heat sources are usually placed below them to in effect ‘wash’ them with heat. That stops the convection engine and helps bring their surface temperature up closer to that of our bodies, and as a result, less heat is transferred between us and our environment, and so we feel more comfortable. A baby talking her first steps with help from her Mother. However, radiant heating is a completely different type of heating method. It intentionally uses the principles of radiant heat to transfer radiant energy from an emitting heat source to an object. Since the radiant heating surface area (the floor) is much larger, a lower temperature is required to achieve the same level of heat transfer and desired results. Why delay your comfort any longer. “If building design prioritized thermal comfort for occupants, it is likely we would see a lot more radiant heating, and certainly better building envelopes,” said EcoHome. We can help you get started today. Drop us a line or give us a call.